Smeg Australia is celebrating 30 years of timeless design with the introduction of a brand new collection in its best-selling Classic range of stainless steel ovens. Designed by renowned Italian architect Guido Canali, the Smeg Classic range has been refreshed with the launch of 14 new models. 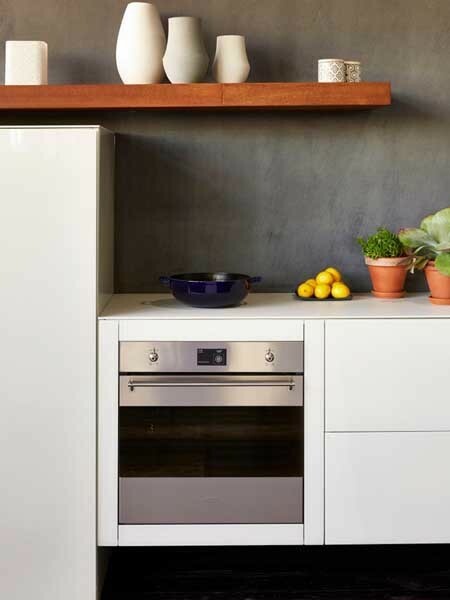 The Classic was the first stainless steel oven to be introduced to the Australian market at a time when white was the only choice in built-in ovens. Smeg’s original Classic S10X model is on permanent exhibition in the Museum of Modern Art, New York. The new Classic collection will include 60cm, 70cm and 90cm ovens in addition to compact and double oven models and the truly innovative Speed Oven. Retaining all the features of its beautifully timeless design including clean, simple aesthetics and the iconic ‘Classic’ knob, the new collection comes with the latest technologies and functions. Some of the standout design features in Smeg’s new Classic collection of stainless steel ovens include the unique Thermoseal technology that enables complete humidity control in the cavity for optimum cooking conditions to achieve perfect results; Eclipse high visibility glass doors featuring black opaque glass that illuminates and becomes transparent during use; Smart Sense Plus with 50 automatic cooking programmes; integrated cleaning systems; interchangeable racking that will fit any of the Classic appliances; and soft close doors. Smeg’s new Speed Oven combines circulating microwave power with traditional convection functions to dramatically reduce cooking times while retaining excellent texture, succulence and flavour. The new Classic Compact ovens, just 45cm high, are designed to be installed in a bank of appliances and will integrate seamlessly with 60cm models in terms of aesthetics and dimensions. An optional full glass door contributes further to the symmetry when installed in a bank of ovens. The Compact range offers a choice of microwave oven with grill; speed oven; dedicated steam oven; combi steam oven with convection; and Thermoseal convection with pyrolytic cleaning. Smeg has also introduced the perfect baker’s oven in the latest Classic collection. The Gourmet Cooking Stone fits perfectly into the base of the oven and can be used to bake bread and pizza as well as pastries with light, crispy bases. The five Classic multifunction 60cm ovens range from the standard model with Thermoseal oven technology, eight functions and Vapor Clean to the fully specified SFPA6395X with benefits such as 10 cooking functions, SmartSense Plus, 10 personal recipes, pyrolytic cleaning, TFT display and soft close door. The two double ovens include one regular model and a new model with the additional features of TFT interface, SmartSense Plus 50 automatic programmes and pyrolytic cleaning. The two 70cm models are fast increasing in popularity for their ability to provide the same 90-litre capacity as the 90cm models while taking up 20cm less space. The two 90cm models come with or without TFT interface, pyrolytic cleaning and 50 automatic programmes. Guido Canali Classic Smeg ovens are available nationally from specialist appliance stores, electrical retailers and some department stores.